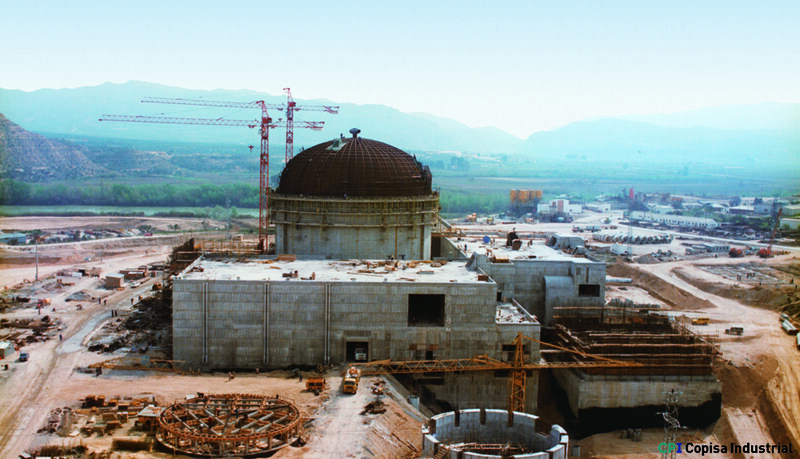 » Portfolio » The Ascó nuclear power plant, key infrastructure for development, Tarragona. Spain. The Ascó nuclear power plant, key infrastructure for development, Tarragona. Spain. The Ascó nuclear power plant, located on the right bank of the Ebro River in the province of Tarragona, is the second oldest nuclear power plant in Spain. It is still in operation today and acts as a key infrastructure for the understanding of the development of the province. It occupies an area of ​​250 ha and during the long process of construction of the plant, which lasted more than 10 years, the two pressurised water reactors were built, each with an electrical output of more than 1,000 MW.